Welcome home to Poplar Village. Escape to this tranquil park-like atmosphere, where the beauty of the outdoors meets simple apartment living. 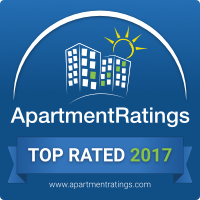 Located in Murfreesboro, Tennessee, Poplar Village caters to an eclectic lifestyle of relaxation and comfortable, spacious living. Our residents appreciate being close in proximity to a wide selection of shops, restaurants, schools, recreational parks, and entertainment destinations. Come home to Poplar Village today! Enjoy vintage 1968 apartment homes with unique features at Poplar Village. We offer both cottage and garden style apartment homes with pine kitchen cabinets and tiled bathrooms. Choose from our selection of one and two bedroom floor plans that come well-appointed with air conditioning, cable available, plush carpeting, large closets and window coverings. Take advantage of all the community amenities and services we offer here at Poplar Village. Animal park, barbecue with picnic area, laundry facility, fitness room, playground and on-site maintenance and on-management. Call and schedule a tour of our community and see why Poplar Village will be the picture-perfect place to call home.